A poor drawing of the concept! Having been an entrepreneur and a business editor at a daily newspaper, I’ve noticed that brand movements combine three things — and sometimes, this brand movement happens without any strategy on the part of the company. You know what I mean by a brand movement — an infectious, must-have product or service with a following of “raving fans” and devoted disciples. For example, people don’t just like Apple‘s iPod and iPad — they take an extra minute to place the Apple stickers on their cars. The same thing happens with Roxy — good products and loyal fans who will advertise for the company. And all those Apple and Roxy stickers fan the flames of the brand movement. It just spreads. For a brand movement to occur, three elements must overlap in a complementary way. Product — This is actually the weakest of the three, at least in my opinion. A product could be a high-quality item, a unique item, a novel item, or just a piece of plastic that allows a consumer to identify with others who have the same piece of plastic. The product could be original or derivative. Market — A group of people or a demographic already inclined toward the product. The sales target. It could be as broad as middle-class America (think Apple) or it could be more narrow. Belief — This might be the most important of the three. Whether it already exists or is manufactured by marketing geniuses, the belief must be strong and ubiquitous, and it must point people to the product. As others have said before, a successful product either conveys status or relieves a pain or a need. But the belief in either the status or the relieving properties of the product must be so strong that a member of the target market joins the brand movement without question. 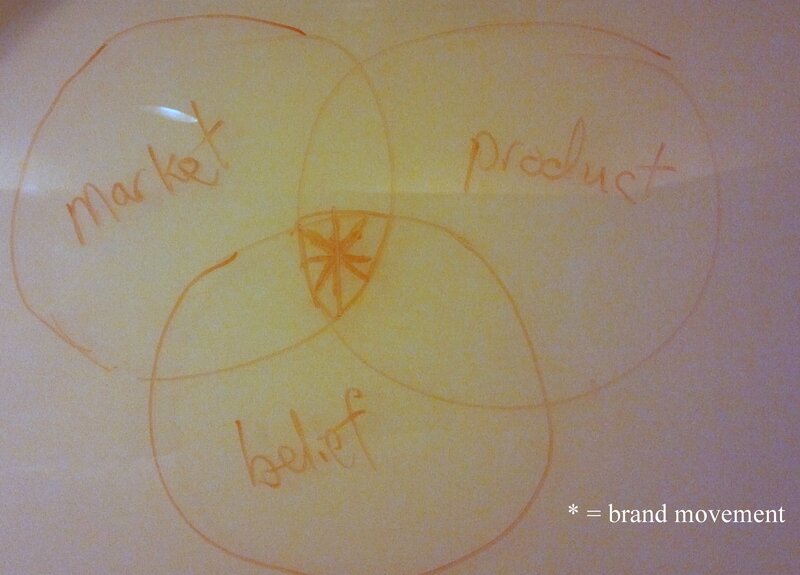 When these three things overlap in the right way, a brand movement is inevitable. However, for the product to inspire a belief, know your target market. Your target market must be the kind of market that (a) could legitimately buy the product, and (b) could have a belief that the product could remedy a need, whether that need is status or relief.